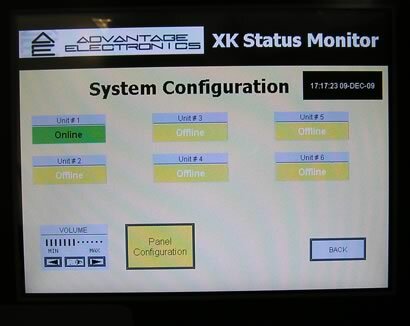 Monitor and control up to 12 Sentra HE temperature control units from a single touch screen interface. 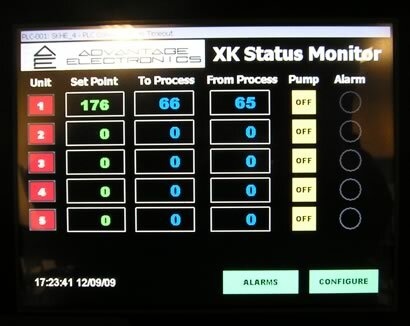 Monitor machine status and alarms. 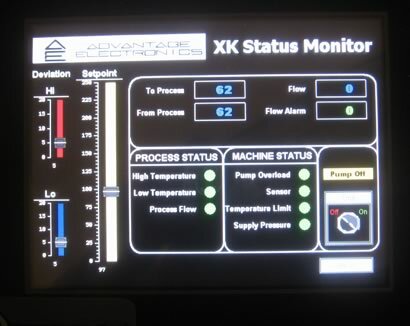 Advantage Sentra SK temperature control units with HE control instrument equipped with Modbus RTU. 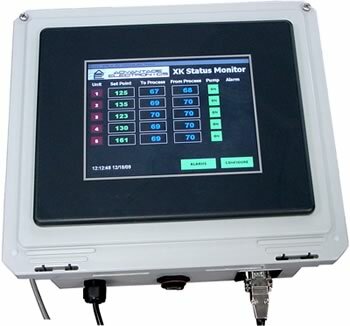 Communication cable running from XK Monitor to RS-485 connector on SK-HE control instrument. 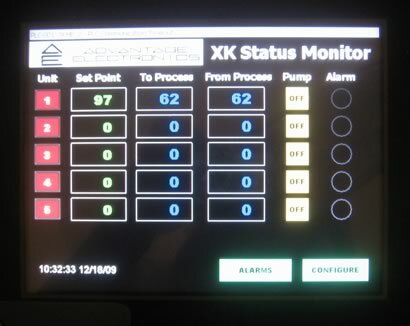 8" Touch Screen Display mounted in a 12" x 10" x 6" NEMA fiberglass enclosure. Communication cable configured as required for your project. Would you like to Download FYI #297 to your browser?